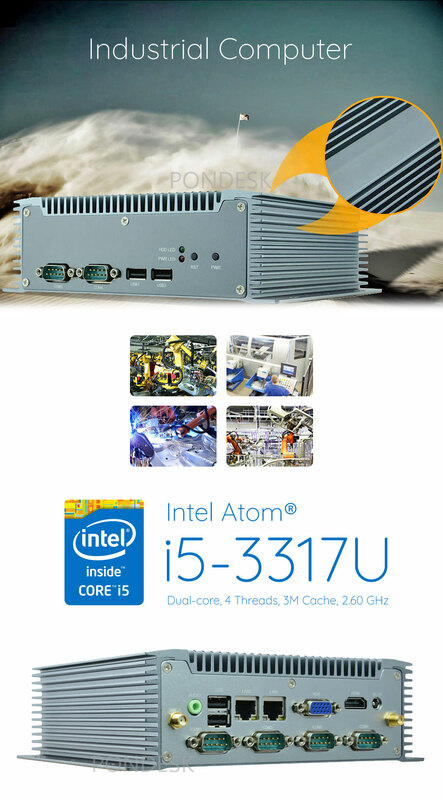 Intel® Core™ i5-3317U dual-core fanless industrial computer with 6x RS232 serial ports (COM2 Support RS485) and powered by Intel® NM70 chipset for controlling, operating automation of industrial processes and monitoring systems and machines in the most challenging manufacturing and process environments. Dual intel 82583V gigabit RJ45 Ethernet, 802.11 b/g/n WiFi, 4x USB2.0 and dual display via HDMI and VGA powered by intel® HD graphics 4000. 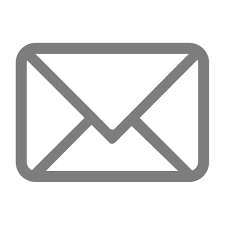 Onboard 4GB DDR3 memory and support storage drives including mSATA SSD and 2.5" SATA SSD/HDD. Compatible with windows 7/8/10 and Linux etc. 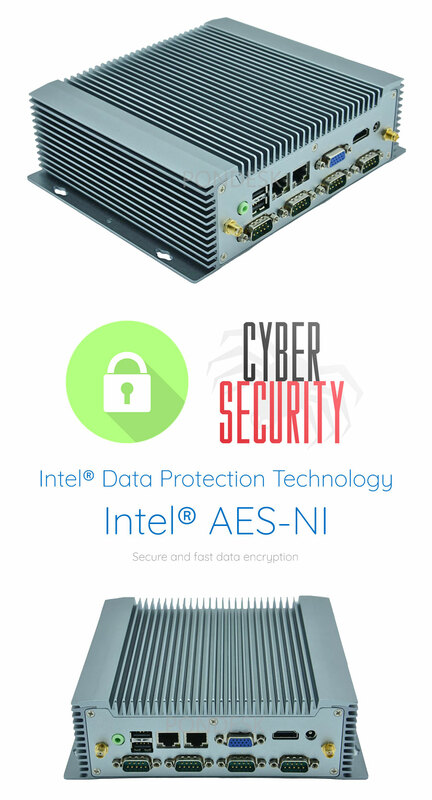 Intel® AES-NI for secure and fast data encryption and decryption. Durable, high reliability universal performance helps user getting much better computing experience. 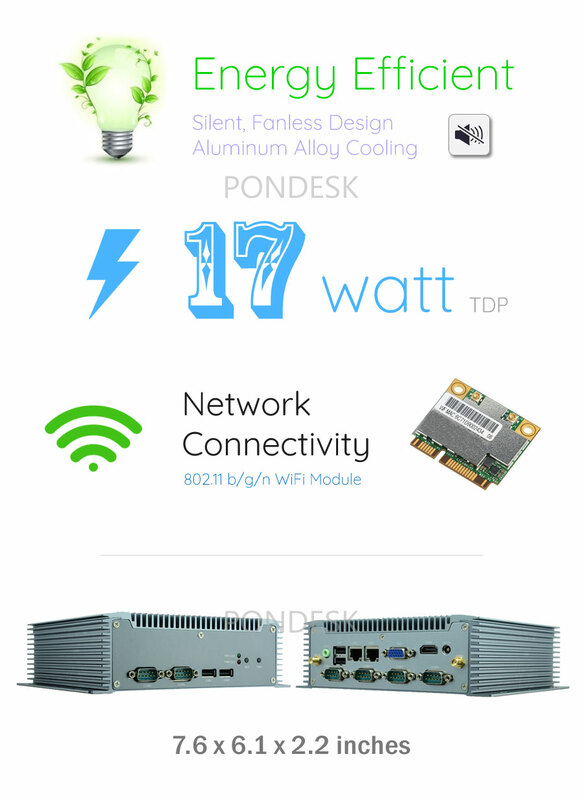 Best for universal industrial applications, slim panel PC, vending machines, signage box and small POS systems etc. Perfect for Automation of Industrial Processes, Manufacturing Process, Displays, Stations and Training Applications etc.